If you’ve taken a spin through the BUILD website lately, a couple of things should stand out. 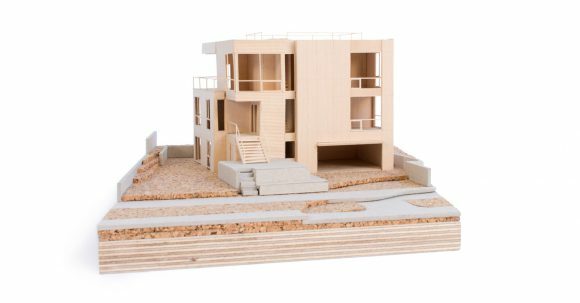 First, we still create hand-built architectural scale models in the office, and second, timeless elevation line drawings accompany just about every project. Despite the time and bandwidth required of both architectural representation methods, each are important to how we think and design. 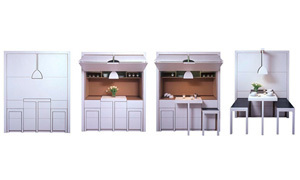 While many design firms have abandoned the physical model and the shadow elevation for 3-dimensional modeling, we’re finding a powerful balance between these timeless representation methods by judiciously using technology as an added layer. Today’s post reviews the most current projects in the office and explains the synergy between timeless representation methods and modern technologies. Because we work with a modern philosophy, most of our projects employ a curated palette of materials. Our general rule of thumb is to use no more than three primary materials at the exterior of a typical sized residential project. 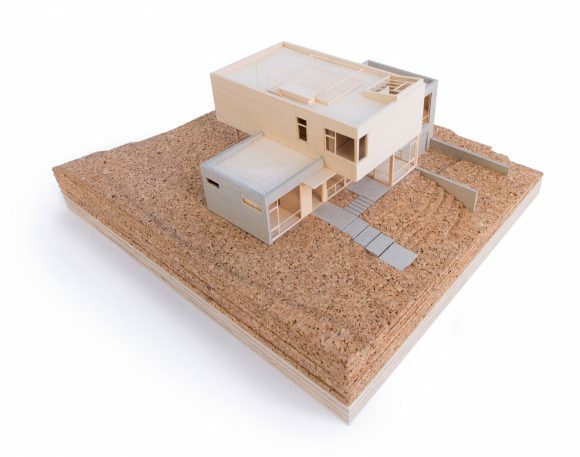 Often, one of these materials emphasizes texture, grain, and color, and a good example of this is the natural or stained cedars that are found in many of the envelope systems on BUILD projects. The Queen Anne Residence is an excellent example of this design strategy and we use the shadow elevation to emphasize the contrast of materials as well as volume and depth. The classic architectural shadow elevation is supplemented here with a digitally composited cedar texture. This brings the character of cedar into the visual and allows us to have a more informed discussion among the design team and with the clients. Similarly, with the shadows, 3D modeling programs can be used to generate accurate sun angles and shadows any time of day, any day of the year as seen in the First Central Station plan and elevation study below. The layering of textures and lines with digital tools draws from physical representation methods and can reintroduce palpable qualities that are often lost in hard-lined and overbearingly crisp digital drawings. Textures can be applied as material representations or as compositional tools. 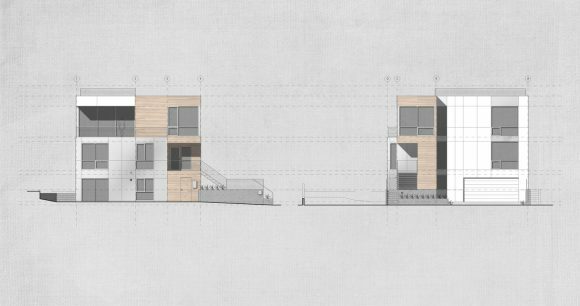 A subtle linen background added to the drawing helps define the massing of the elevation as in the Norkirk and Harrison Street Residences below; utilizing texture to delineate a separation between foreground and background. 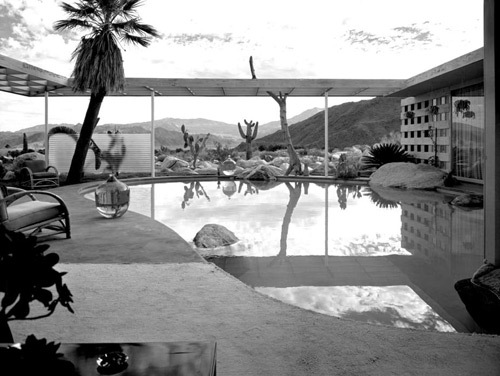 While the completed shadow elevation is a bit of an abstract study, (you’ll never actually experience the house without perspective,) it’s also a useful compositional gut-check for us. In our experience, if a design doesn’t achieve visual harmony in elevation, it won’t achieve it as a 3-dimensional object. 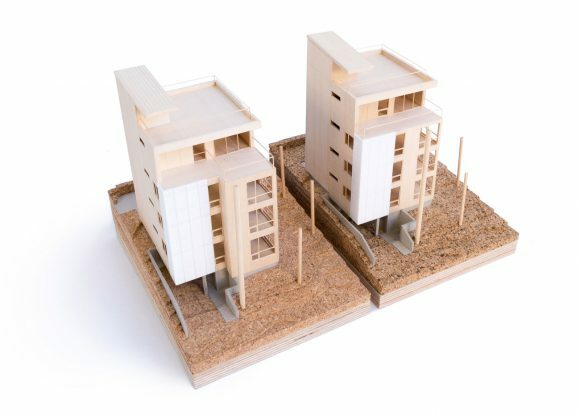 While we produce digital models and dozens of renderings for each project, there’s still a desirable reliance on the hand-built, physical model here at BUILD. No matter how slick renderings become, there’s simply no rival to the tangible nature of a scale model that you can put on the conference table and review with the project team and clients. 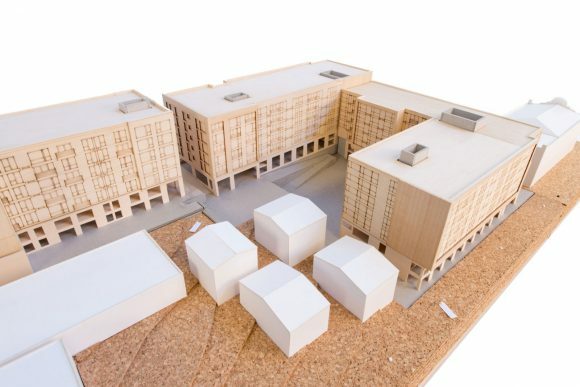 The First Central Station model is an excellent example of the usefulness of the physical model as it can be pulled apart to reveal 4 levels of intertwined, underground parking. 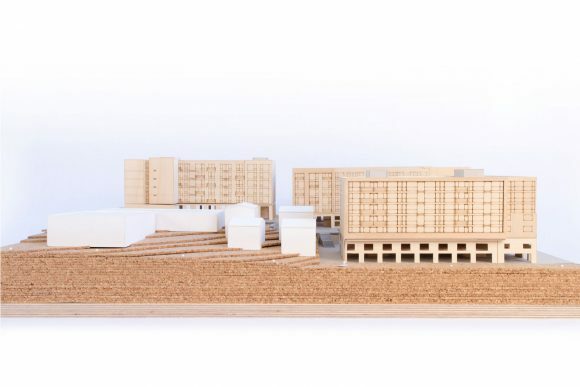 The relationships between the buildings, the open spaces, and the sub-grade structures have been nearly impossible to accurately explain to consultants and community groups, but 30 seconds with the physical model and it becomes perfectly clear. Hit the link here to watch the FCS model dissection video. The FCS model is also a good example of timeless modeling techniques outfitted with modern methods. 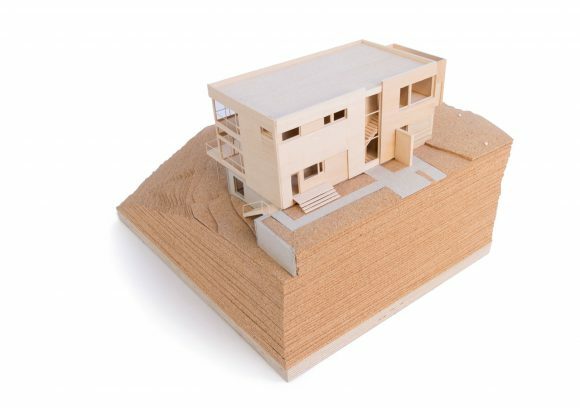 An added layer of technology allowed the design team to illustrate the elevations without turning it into a grueling exercise in model building. Sheets of basswood were laser etched and laser cut to develop window breaks and decks while multiple basswood sheets stack to develop the depth of the proposed design. The BUILD Makerbot has also come in handy with adding a layer of sophistication to physical models. While we’ve found Makerbot technology to be rather limited in terms of producing entire models, making key components for traditionally hand-built models has worked well on certain projects. It has also worked well for modelling engineered or high-tech manufactured products used in the design; drawing a relationship between full scale material production and scaled representation. The 602 apartment building, below, incorporates the rigid white printed components which represent the solar panels, and a perforated metal screen on the building. While architects and designers are rapidly advancing into modern technologies, we’re finding that a sensible balance doesn’t abandon or ignore the past. Some methods of representing architecture are simply timeless, and a powerful balance can be found by adding key components of modern technology to these timeless methods. This mindful balance between the time-tested and the forward-thinking doesn’t just apply to shadow elevations and scale models, though. You might be surprised how well this balance applies to designing and building the architecture itself. For more model shots and elevation drawings, follow us on Instagram.